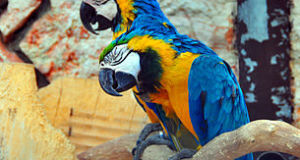 The pet trade is being blamed for an emerging epidemic that is threatening captive and wild parrots worldwide. Psittacine Beak and Feather Disease (PBFD) is caused by a Circovirus that evolves quickly, spreads easily, and survives for years in nests and roosting areas. African Gray and Eclectus Parrots, Macaws, Cockatoos, Love Birds and Ring-Necked Parakeets are especially susceptible, but over 60 species have been infected. Included among these are wild populations of several endangered species, such as Swift, Orange-Bellied and Norfolk Island Green Parrots. First identified in 1987, PBFD has recently reared its ugly head on New Zealand’s South Island, where it is killing rare Yellow-Crowned Parakeets. The virus that causes PBFD seems to have evolved in Australia, and for a time was endemic to that continent. The threatened Orange-Bellied Parrot was the first species in which it was identified. 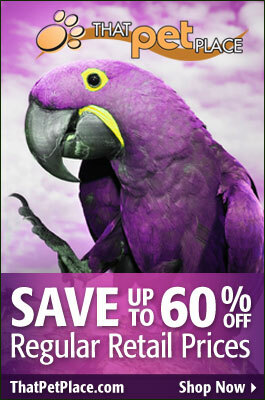 It has now been found in wild and pet parrot populations throughout the world. Unfortunately, ongoing research has not yielded a cure. Three forms of the disease are known. Peracute and Acute PBFD afflict hatchlings and nestlings, and quickly lead to death. Adult parrots infected with Chronic PBFD can be assisted a bit by strengthening the immune system, but they generally succumb as well. A proper diet, exposure to sunlight or a UVA/UVB bulb, and the establishment of a natural day/night cycle has been useful in some cases. Please see this article for more on testing, diagnosis, and treatments that may lessen the symptoms of PBFD. In 2012, University of Canterbury researchers announced that a new strain of PBFD had been found on South Island, New Zealand, which until then had been free of the virus. 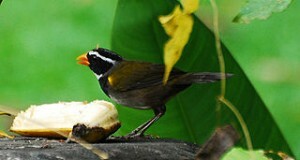 The island’s threatened Yellow-Crowned Parakeets were stricken. The existence of a new strain is especially troubling, and illustrates the difficulties involved in studying and eliminating rapidly-evolving Circoviruses. The disease was previously identified in the already-rare Red-Fronted Parakeets on Little Barrier Island, off New Zealand’s North Island (site of a Kakapo rescue operation). New Zealand is home to several of the world’s most unusual parrots, such as the alpine-dwelling, meat-eating Kea and the nocturnal Kakapo. Despite decades of protection and study, the much-loved Kakapo is on the brink of extinction. 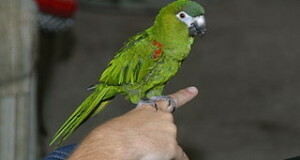 Escaped and released non-native parrots, products of the legal and illegal pet trade, are considered to be the source of the PBFD outbreak on New Zealand. Eastern Rosellas, which are native to Australia but feral on New Zealand, were found to be infected with the virus. Other Australian parrots that are or may be breeding in New Zealand include the Rainbow Lorikeet, Crimson Rosella, Galah, and Sulphur-Crested Cockatoo. To determine the extent of the PBFD problem in New Zealand, researchers are monitoring native and introduced parrots. In recent years, nearly 800 individuals representing 7 endemic parrot species were tested for PBFD. Genetic analysis of the PBFD virus is also being undertaken. Next: My Parrot is Sneezing – What’s Wrong! ?